We’ve all seen the tabloid snapshot depicting some A-lister hanging on to a foam board, for dear life, while vacationing in Bali or Hawaii. But there are, in fact, a few celebrities who legitimately rip. Whether surf tripping with pros or pulling into barrels in front of their extravagant beach houses, these celebrities are sure to light up any line up with more than just their fame. To the surprise of very few, Thor surfs. 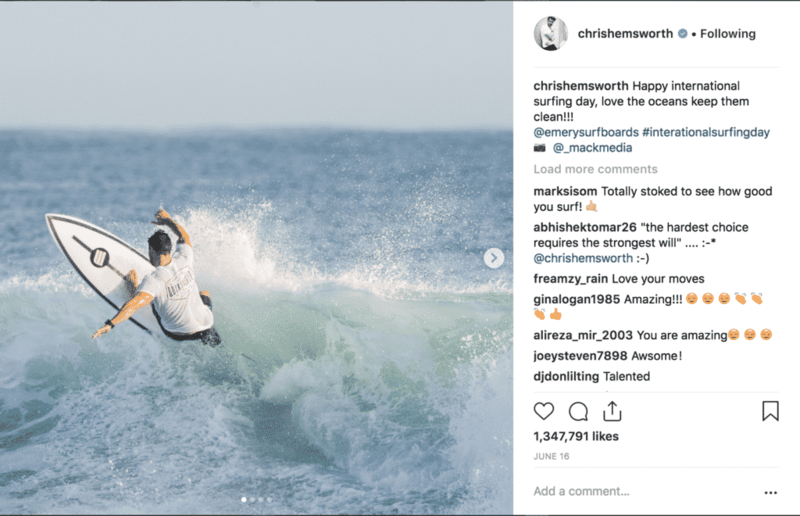 The Australian born and bred actor Chris Hemsworth currently calls Byron Bay home and surfs as often as he can. In addition to being close to his family, Chris negotiated the filming of Thor 3 be done near his home in Australia, so he could enjoy the occasional weekday surf. 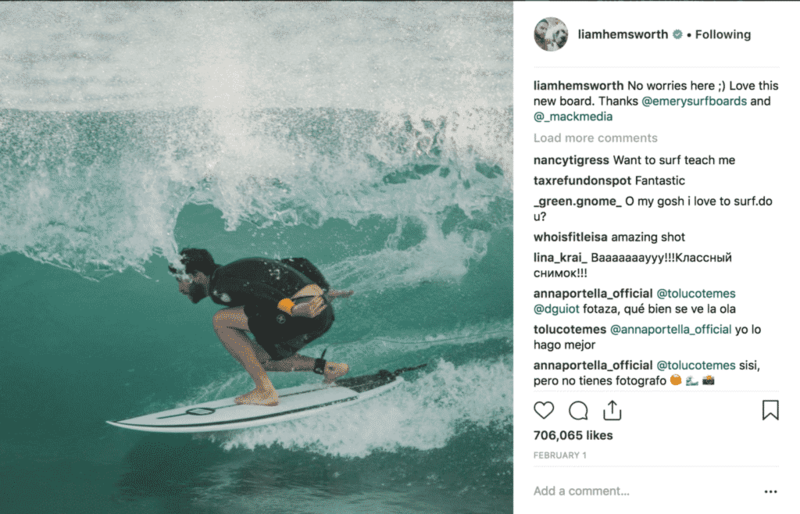 If you follow this superhuman on Instagram, you’ll see that he occasionally pals around with 11-time world champ Kelly Slater, whether it’s at Cloudbreak in Fiji or at the surf ranch. It would appear that Chris even has his own board sponsor, Bondi Beach based Emery Surfboards. Not that the actor couldn’t afford the boards on his own. Cameron Diaz might be one of the world’s most recognizable celebrities. She’s known for her appearances in The Mask, Charlies Angels, and There’s Something About Mary. But Diaz has not let fame get in the way of her surf-traveling. In fact, she made a TV series about it back in 2005 titled Trippin. While Trippin might have vanished along with what was left of the early 2000’s pop culture, Diaz is still a surfer. It’s no surprise that Liam, like his brother Chris, surfs. Growing up in Australia, Liam and his siblings picked up surfing along with rugby, cricket, and other absurdly Australian activities. Today, Liam calls Malibu home, where he is a frequent local in the lineup at first point. Not many people know that the famed beachy singer/songwriter Jack Johnson grew up on the North Shore of Oahu. In fact, one of Johnson’s first jobs was filming and editing surf footage. 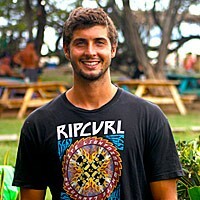 He is a familiar in the line-up at Pipeline, and like Chris Hemsworth, is buddies with Kelly Slater. In addition to packing barrels, we can applaud Jack Johnson for completely eliminating single-use plastics at his concerts! 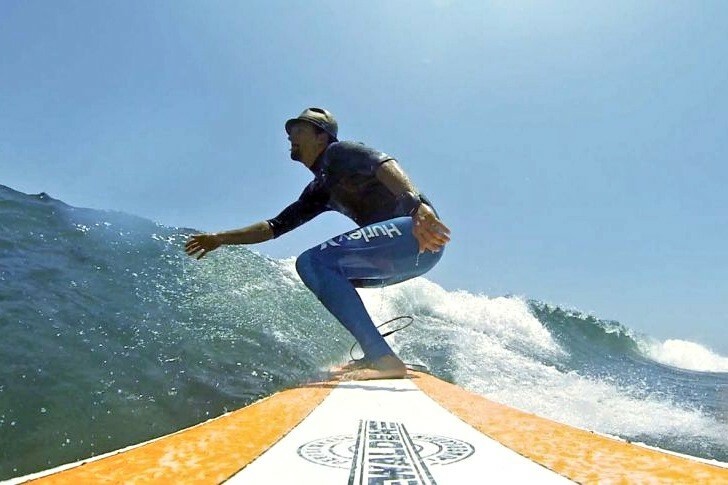 Known for his 2008 hit single I’m Yours and his questionable headwear choices, American singer and songwriter Jason Mraz picked up surfing in Hawaii in 2010 (I know it’s cliché) and has been enamored with the sport ever since. In 2010, he was announced as Surf Industry Manufacturers’ Humanitarian of the Year, for his work with several surf related charities. Star of the crime drama, Hawaii Five-0, and son of legendary actor James Caan, Scott grew up surfing Malibu and has been photographed surfing in locations all over the world. I can only imagine he surfs when he’s not filming on set in Hawaii. Ironically, his character on the show is one of the only characters who does not surf. Legendary actor Matthew McConaughey began surfing in preparation for his role in the movie Surfer Dude. 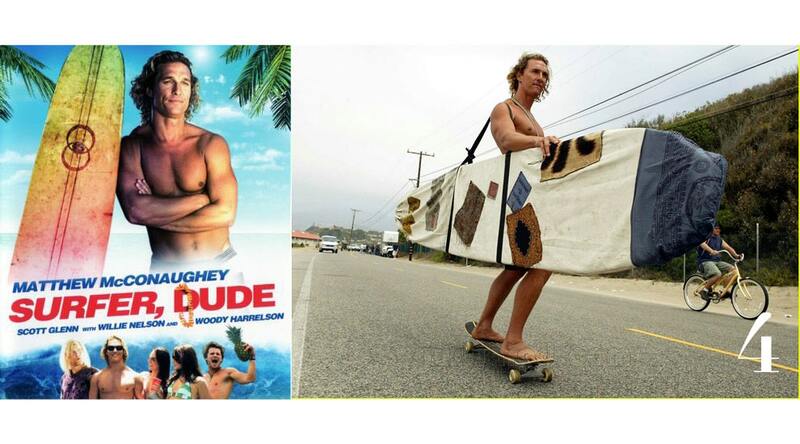 The movie tanked (it was awful), but McConaughey caught the surfing bug and has been surfing ever since. Occasionally, he even shows up to WSL events around the world to watch the pros. The Red Hot Chili Peppers frontman relies on surfing to keep him youthful. Kiedis has been surfing since he was a kid and frequents spots around LA. He’s been known to surf on the road as well, mainly in Hawaii and Brazil. While Wes Anderson favorite and comedy god, Bill Murray, might not rip in the traditional sense, he is well worth a mention. 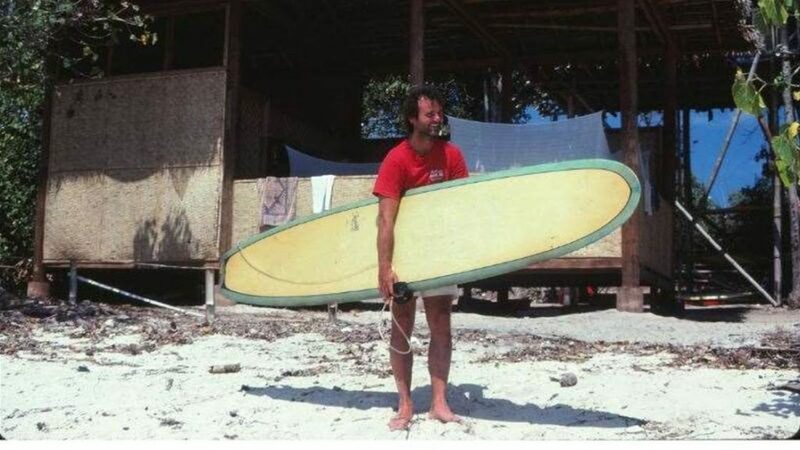 In a recent issue of the East Coast surf magazine Whalebone, Bill Murray recants the epic tale of him being pushed into his first wave by legendary surfer Rory Russel at G-Land (famous Indo Spot). Of course, the interviewer in the featured piece is none other than Kelly Slater who asks the actor several questions while playing 18-holes of golf.